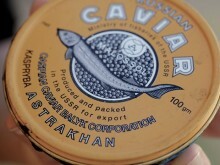 Poached caviar in Russia is sometimes sold in a container dating from the time of the USSR. On June 20 EU Environment Ministers endorsed an ambitious EU Action Plan to boost the region’s collective efforts to end wildlife trafficking, but the absence of some key commitments on financial resources, national legislative amendments and reporting could weaken its overall impact and effectiveness. All of these are missing from the final conclusions. “Ministers failed to pledge the necessary financial and human resources to back up their words and prove they are really serious about fighting wildlife trafficking,” said Sally Nicholson, Head of Development Policy & Finance at WWF European Policy Office. Poaching and illegal wildlife trade are a global problem and the EU Action Plan was developed to strengthen the EU’s response to it. It was adopted by the European Commission in February. 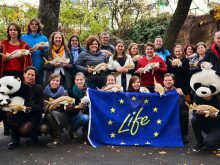 The Action Plan shows that EU environmental ministers understand that the EU is a source region for the trafficking of endangered domestic species like Danube sturgeons, not only a key transit point and end market of wildlife traffic. They also recognize the critical role of local communities and civil society in the conservation of wildlife and the need for their involvement, which is another positive development. 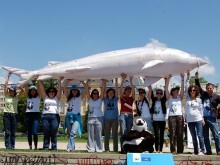 Engaging local fishermen communities in the preservation of the iconic and endangered Danube sturgeons was one of the areas of work of the now finished project Sturgeons. 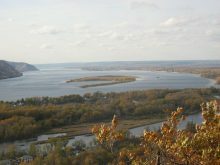 Protect Danube’s treasure. 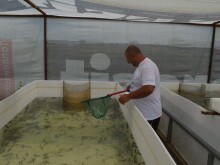 During its four years, the team managed to establish good working relations with Danube fishermen in Romania and Bulgaria and train them on securing alternative income. Some fishermen were also trained to do scientific work and many of them are now far more open to sturgeon conservation measures and understanding of the local full fishing bans. Both countries recently extended them into 2021 . 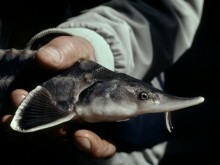 Sturgeons are among the globally threatened species that are most affected by wildlife trafficking. Although nowadays most internationally traded sturgeon caviar is produced in aquaculture, sturgeon products originating from the wild are still sometimes sold as coming from farms. 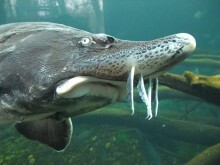 The WWF and TRAFFIC report Illegal Caviar Trade in Bulgaria and Romania documents cases of mislabeled sturgeon products in the Danube region. After laboratory testing, sturgeon caviar marked as captive bred on the container’s CITES label proved more than once to be from regions or species other than what was stated on the label. This means it could have also been harvested from poached sturgeons. The new EU Action Plan on wildlife crime, as well as other international commitments, requires Member States to legally recognise wildlife trafficking as a “serious crime” and to review relevant national legislation on money laundering. However, not all Member States have taken these steps, so they must do so urgently to ensure that organised wildlife trafficking is punishable by a minimum sentence of at least four years imprisonment. Currently, the punishment for unlicensed fishing in Romania is only a fine and a fishing interdiction of one to three years. Only fishing with electric equipment, explosives, toxic and narcotic substances and the use of fire arms to kill fish and other aquatic creatures is punished with imprisonment of one to three years. The same sentence is given for fishing marine mammals. In Bulgaria, sanctions are even more lenient. Those who practice unlicensed fishing or fish species protected by a fishing ban are fined €750 to €1,500. 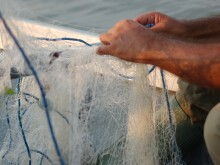 The fine is higher in the case of fishing with explosives, toxic and narcotic substances, electric, bottom trawling or dredging and other forbidden equipment – €2,000 to €3,000. No prison terms are envisioned for these offences. Member States now need to make sure they fully implement the EU Action Plan and report back on the progress made, especially for the actions to be delivered by the end of 2016. In particular, the EU has an important role to play at the largest ever Conference of the Parties of the Convention on the International Trade in Endangered Species of Wild Fauna and Flora (CITES) in Johannesburg in September. There it will be lobbying for a number of measures that are part of the plan, including better regulation of trade in hunting trophies and measures to address corruption. Wildlife crime is estimated to be the 4th largest transnational organised crime after trafficking in drugs, humans and counterfeit goods (Source: Global Financial Integrity 2011). It is not just a threat to numerous species, it also threatens rule of law, good governance, well-being of local communities, and sustainable development. While the focus is usually on elephants, rhinos and other iconic species, wildlife crime threatens the survival of a wide array of animals and plants including European protected species such as songbirds and eels.